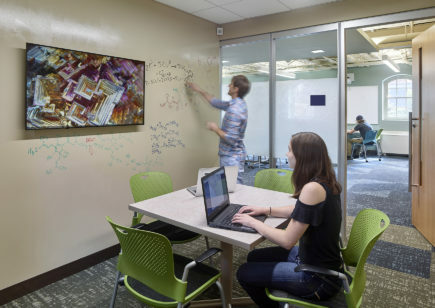 Out with Lecture Halls, In With Collaborative Learning Spaces Project-based learning, also known as next-generation learning, is all about breaking down barriers so students can solve problems collaboratively. This is not just true of the learning process, but the space where it takes place. Physically, it’s all about having a flexible space that inspires interaction - often marked by communal furniture, careful soundproofing, and open floor plans in place of tiered lecture halls.